Not exactly in Downey. Tonight I'm in Beaumont celebrating my daughter's birthday. 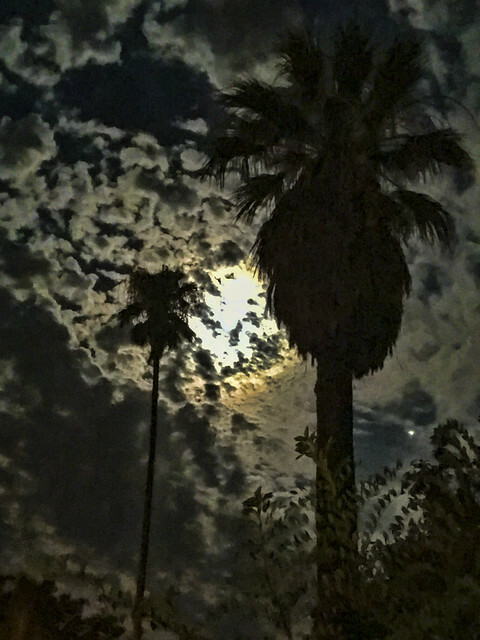 The moon has been incredible lately and I couldn't resist the way the moon lit up the sky with the palm tree in shadow. "The moon will guide you through the night with her brightness, but she will always dwell in the darkness, in order to be seen."